Datsyuk has been in-form recently and notched his 900th career point on Sunday, making him the Player of the Week! It is a gift of skill and personality to be among the most talented people in the world at something, yet somehow manage to perform your craft without inviting the constant glare of the media spotlight. Pavel Datsyuk is that sort of hockey player. The dynamic Russian regularly displays his elite hockey skills, yet also maintains the ability to quietly live his life both on and off the ice. Don’t be fooled, though, just because Datsyuk isn’t making the daily newspaper headlines or appearing on sports highlight shows every night doesn’t mean his fellow NHLPA members don’t recognize the immense amount of skill that Pavel possesses – traits that make him among the best in the game. 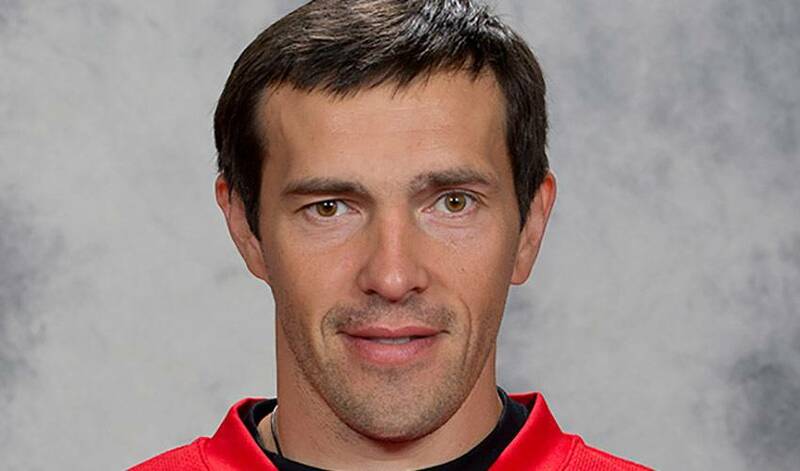 Datsyuk was schooled in the art of the game of hockey in the old Soviet system, and is indeed a hybrid of the old and new world approaches to the game. He is a quiet, silky-smooth skater; a wizard with the puck on his stick; has a killer instinct for finishing when he gets an opportunity; and he is also one of the best defensive forwards in the current era of professional hockey. All in all, the Red Wings have one of the best and most unique players in the league in their lineup, one whom they stole in the sixth round of the 1998 NHL Entry Draft. He has been a key member of the perennial Stanley Cup-contending Red Wings teams since the start of the millennium and he has the ability to make extraordinary plays whenever he takes to the ice. This past weekend, Datsyuk had two goals and an assist to help the Red Wings win a high-scoring 6-5 game against over the Bruins. With his first point in that game, Pavel reached the 900-point plateau for this NHL career, an impressive feat and a testament to his long-standing excellence in the league.